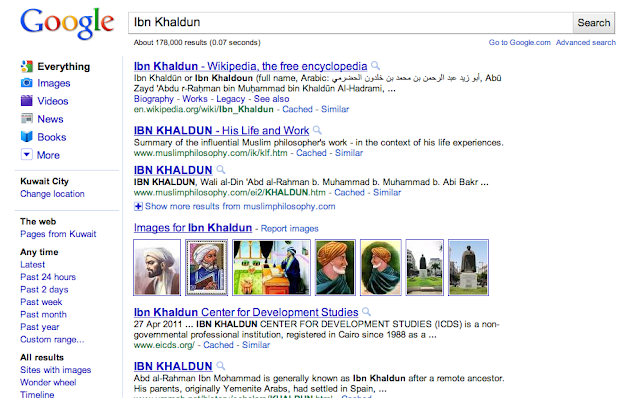 I am very happy to see this lovely illustration of Ibn Khaldun on Google. Apparently May 27 was the corresponding Gregorian date of his birth. 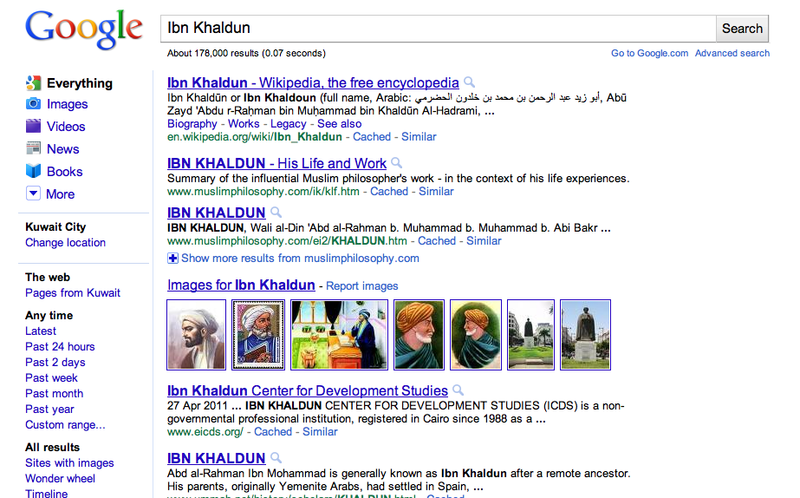 Ibn Khaldūn or Ibn Khaldoun (full name, Arabic: أبو زيد عبد الرحمن بن محمد بن خلدون الحضرمي‎, born on Wednesday, 1 Ramadan, 732 AH, corresponding May 27, 1332 AD/732 AH and died Friday, 28 Ramadan, 808 AH, corresponding March 19, 1406 AD) was an arab historiographers and historian born in North Africa in present-day Tunisia and is sometimes viewed as jurist, Hafez, a mathematician, a strategic military philosopher one of the forerunners of modern historiography, sociology and economics. He is best known for his Muqaddimah (known as Prolegomenon in English), which was discovered, evaluated and fully appreciated first by 19th century European scholarship, although it has also had considerable influence on 17th-century Ottoman historians like Ḥajjī Khalīfa and Mustafa Naima who relied on his theories to analyze the growth and decline of the Ottoman empire. Later in the 19th century, Western scholars recognized him as one of the greatest philosophers to come out of the Arab world.